Home »Philosophy»Vegetarians no better than Hitler. That feeling you get when people use the argument that Hitler was also a vegetarian. Often quoted to shelter a blindness to the cruelty of the abattoir and factory farming methods. I hear this a lot, but it occurred to me that the same argument could just as easily be inverted. 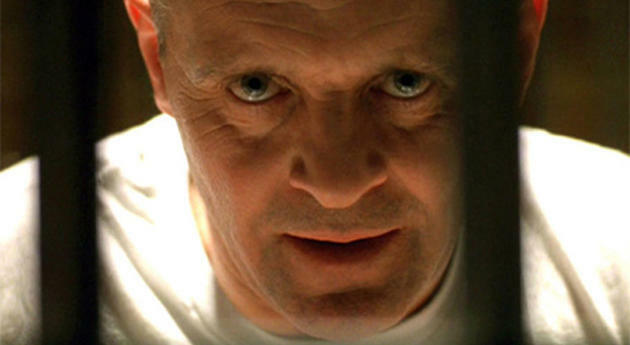 Following the same logic, the fictional character Hannibal Lecter could also be used to promote the virtues of a meat based diet. To be fair it was not all meat. 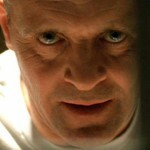 He would often accompany the meal with fava beans and a fine chianti. Whilst the main protagonist of The Silence of the Lambs was indeed fictional, his character was based on the very real Dr Alfredo Treviño a Mexican prison doctor who was convicted of dismembering several hitchhikers in the late 1950s and early 1960s. Whilst Lecter’s diet may have been made up of human body parts from time to time, he also probably ate the odd hamburger or bacon sandwich. Ergo, if you argue that vegetarians are bad because Hitler did not eat meat, you must also accept that all meat eaters are in some way connected to evil serial killers. Other nasty vegetarians include Charles Manson and of course Pol Pott, neither of whom did anything to alleviate human suffering, but I don’t hear their names come up so often in the ‘How dare you NOT eat meat.’ debate. I think most vegetarians get a little tired of having to continually justify their preference for a cruelty free diet. They don’t want to be told that because they prefer not to eat meat that they are apparently no better than Hitler. However, on hearing this mentioned yet again in reference to the multi instrumentalist, kindly genius, vegan and recently passed away pop star, Prince, I decided to check the facts. As late as 1937 Hitler continued to eat meat, but it is widely reported that he later went over to a vegetarian diet. He also gave up smoking, alcohol and was an antivivisectionist. According to an entry in the diary of Joseph Goebbels he described Hitler as a committed vegetarian and that it was the Furer’s belief that the act of eating meat was harmful to humanity. There can be no denying that Hitler was bad news, but I also believe he would not have been able to do the terrible things that he got away with unless others turned a blind eye. It seems to me that some of the very same people that could turn a blind eye to the horrors of the holocaust have more than a little in common with those that refuse to acknowledge the true horror that lies behind that packet of bacon or tin of hot dogs thrown casually into the supermarket trolley each week. ← Previous Previous post: What is the mysterious secret that only black belts know?